Designing a bathroom, we got you covered! 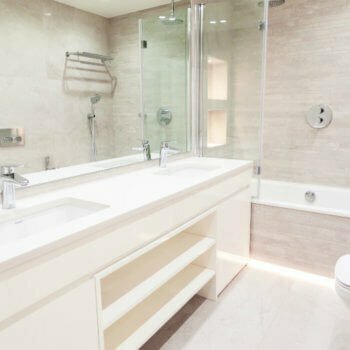 For such a small room the bathroom has a big role to play, so there can be a lot to consider if you’re planning on giving yours a facelift. 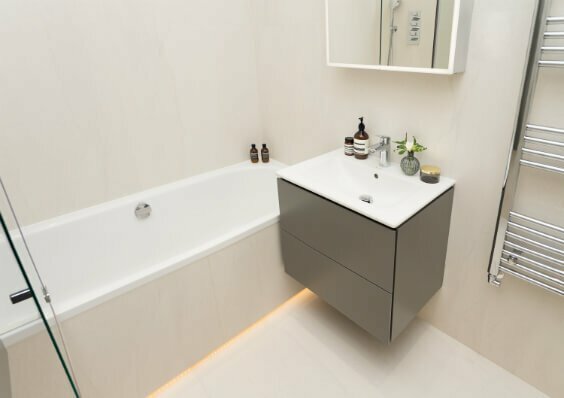 Whatever you have in mind for your bathroom project, whether it is a spa-like retreat, minimalist en-suite or functional family bathroom, we’ve compiled some useful tips to get you started! Set a realistic budget. If you’re not an expert in the area be ready to revise it later because once you start looking into it and understand the market, you might be willing to pay out more on certain things that are important to you. Start with a concept. Peruse any pictures that catch your eye and think about why you like them. You won’t be able to squeeze everything you want into one space, so be ready to discard many of the cool ideas you come across. Also look at pictures of spaces that are similar to yours. If you have an awkward under stairs cloakroom – you’re not the only one! You might find great examples of how others have utilised the same type of space. Once you’re set on style and colours, choose your tiles! Floor tiles are key, ideally they should be porcelain (it’s stronger than ceramic) and should have a good slip rating too. Always view it in real life and order a sample first, even if you need to pay for it. Then you can be sure you like them before you commit. 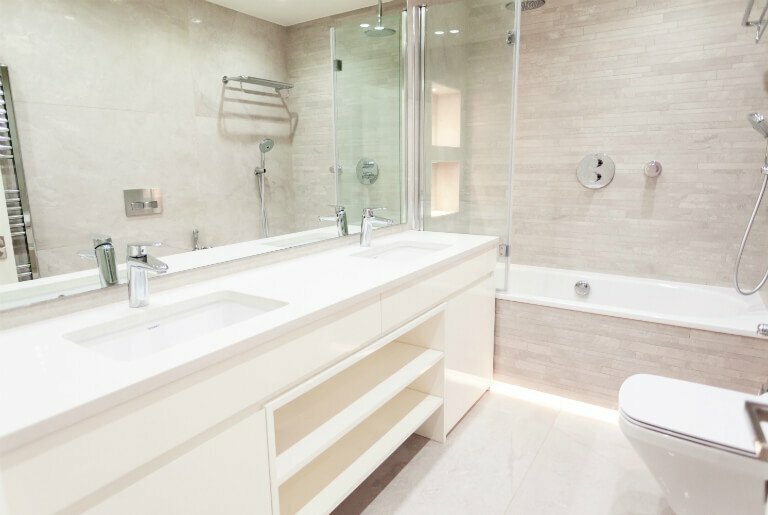 If you’re after some real features but don’t want your bathroom looking crazy, choose a strategic feature wall – one shower wall or behind your vanity unit. Or both! Don’t forget the grout! It’s a small thing, but if you don’t get the colour right it will bug you forever. 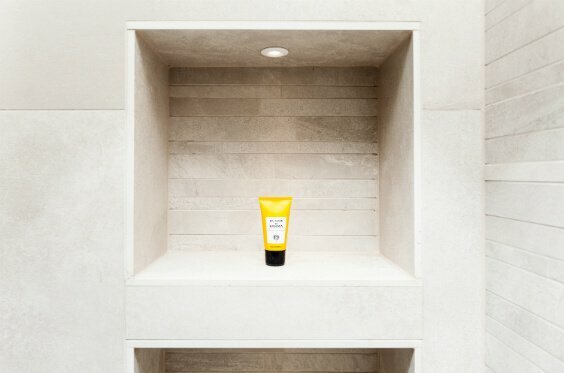 Some tile suppliers offer complementary grout colours to their tile ranges. Most of the time you can just take your sample tile to a builders merchant, they usually have a set of grout samples you can use to match with your tile choice. While we are discussing the details, you need to decide on the trims as well! The vanity unit and mirror is the key feature of any bathroom. There’s a lot you can do in this area with some hidden led lights behind the mirror or wall lights, or even pendants either side of it. Of course a mirror unit with built in led can be very practical as well if it suits your style. Sanitary ware is one of those things that I always advise to go for quality over aesthetics, as a beautiful tap that starts leaking after half a year isn’t doing any favours to anyone. Only go for a special finish if you have the money set aside for it. Once you commit to a mat black or a bronze finish you will soon realise that it’s not only the sanitary ware but the towel rail, the shower screen hinges and the knobs of the vanity unit that all need to be coordinated. Lighting should be placed practically. Make sure you have plenty of downlights, especially above your vanity unit, and that they are all IP rated, which means they are tested to work safely in a humid environment. This goes for any wall lights or pendants as well! Plan out the accessories in advance. Think where you’ll need hooks and towel rings, niches or ledges for keeping your essentials in the shower area, and if that’s not an option try a hanging basket to keep things neat and tidy. Leave the finishing touches to the end. When it comes to plants, towels and bath mat, you can take your time. 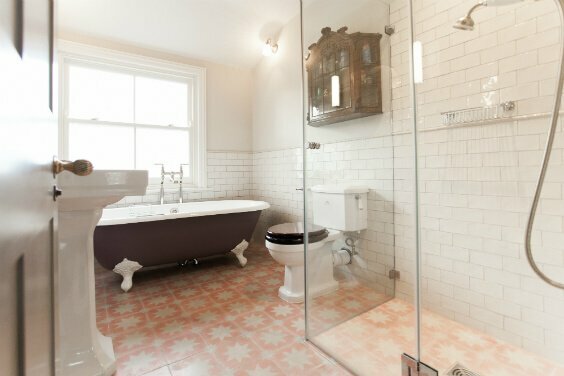 Wait until the bathroom is almost complete, so you get an idea whether you want to bring some more colours or patterns into the space, or just keep it simple. Don’t forget to have fun! Design should never be stressful. You will only have a good result if it comes from your happy place. If you are in doubt, or stuck with the process, you can always reach out to the friendly Temza team for some professional advice! Interior design and construction studio Temza gives expert advice and smart ideas for designing a beautiful, yet functional bathroom.